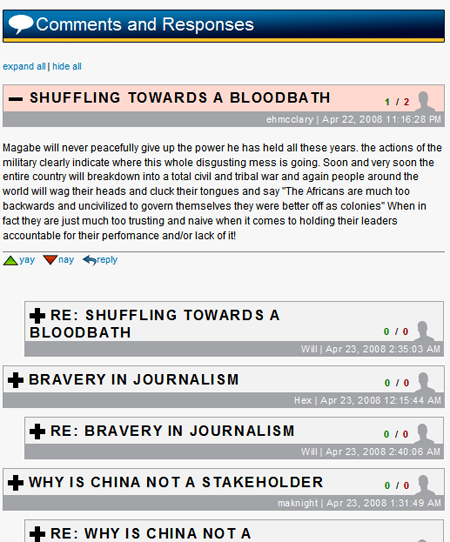 There were 18 posts published in April 2008 (this is page 1 of 2). Virtually Blind has word that the judge in their case has ordered the participants in to explain why they haven’t settled affairs yet. Judge Real is a decent man off the bench. But when he puts on the robes something seems to go wrong. This lazy, vicious monarch has terrorized litigants and lawyers for 42 years and has the highest reversal rate in the Ninth Circuit, which virtually automatically and sua sponte re-assigns his cases to other judges when it remands them. It is difficult to describe the terror he visits upon those in his courtroom and the shame that he makes lawyers feel. It is impossible to describe accurately in mere words how bad this judge is. He is so mean and intimidating that one really needs to sit in his courtroom in order to fully appreciate how awful he is. He should be removed and replaced by a coin-flipping machine, which at least, over time, would get it right 50% of the time, and would have virtually no upkeep costs, such as salary, staff, pension benefits, and health care premiums. This judicial tyrant is a disgrace to the entire federal bench. He is the very best example of why lifetime judicial appointments are a very bad idea. There simply is no judge worse than him, living or dead. This is a truly evil man. Based on all this, I’m hazarding a wild-arsed guess that we have not heard the last of this case. * That the nerd rage pointing this out exploded. * That Hilary Clinton is a female dwarf, who has the vocal emote “I’LL HAVE YOU KNOW I CAN FLATTEN STEEL WITH MY THIGHS“. The makers of Peacemaker have announced a new mini-game platform called “Play the News“. 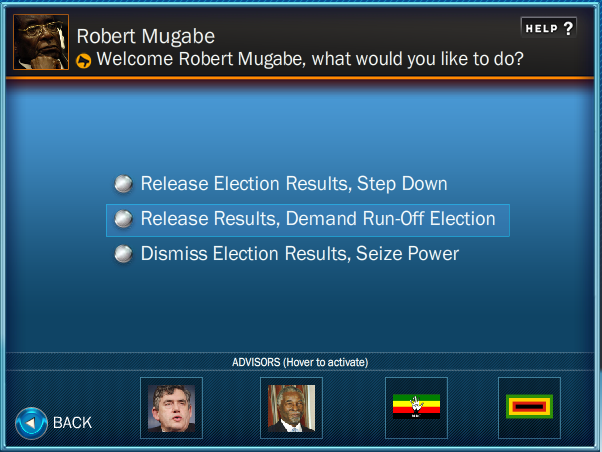 At first glance it looks awfully familar: you’re cast as a decision maker, you have advisors, you make decisions. Fairly basic gameplay, and in fact it was done to good effect twenty years ago. However, “Play the News” is actually more Facebook than Realpolitik – none of the decisions you make are evaluated, save a paragraph’s evaluation of the possible impactof your choice. Instead, you’re then asked to create a profile, where you can… gain levels in issues advocacy. You can advocate what choice you think *should* be made on the games’ forums. And this is sort of at the core of why I’m not really that happy with this, despite this supposedly being right up my newswonky alley. I think what bothers me the most about all this is that the game maker essentially has abdicated any responsibility for making a decision. Part of this is part of the rush towards embracing social networking: let’s let the Internet decide how issues will resolve communally, using clustered intelligence! It’s worked well so far, and I look forward to the debates between Ron Paul and Dennis Kucinich later this year. Except that the best “serious games” have always had designer advocacy. The best, Hidden Agenda referred to above, had a hidden agenda that would club you over the head: Nicaragua, er, Chimerica was under attack by right-wing dictators and American manipulation. Following the left wing path would result in the collapse of your economy, but also triumphantly bringing America up on charges for paying Contras to mine your harbors. Following the right wing path resulted in a dystopia of starving campesinos and laughing death squads. Then again, in 1988, that was the left’s view of Nicaragua. (Sadly, there is no event in Hidden Agenda for the leader of the NLP to be brought up on pedophilia charges.) And it made for a very challenging game: the tendency of the usual Western liberal to thread a middle way would result in a rapid education in the ineffectiveness of moderation between Scylla and Charibdis. A more modern example would be “World Without Oil“. Like “Play The News”, “World Without Oil” is less of a game (in fact, like other ‘alternate reality games‘, there’s no actual ‘game’ present at all), but unlike it, it was more of a participatory LARP. Participants were encouraged to “file reports” from how their community would handle a world where gas tanks slowly dried up; the game masters (alternate reality game veterans) then fed off those reports and built them into the next week’s updates. The advocacy here isn’t quite as hamfisted as in “Hidden Agenda” but still present – encouraging participants to see how our current world is built on a tenuous petroleum base. If you’re going to make games about current issues – and you should, because game creation and game playing is a powerful form of communication, teaching, and advocacy – then, by God, go all the way. Don’t be afraid to press an agenda. Few will be offended to learn that you have one; having opinions on important issues is part of being an educated adult, after all. And the Internet is an open platform for everyone to argue that advocacy. Where “Play The News” would have been a better title, I think, would have been to (a) actually have content creators postulate the impact of the solutions visitors choose, and most importantly, (b) throw open the content creation tools to everyone. If you really want to embrace “the social networking thing”, than you have to have the users bring the focus of the discussion, rather than being an essentially inactive audience. Then you don’t have to worry about the blowback from posting a game where, say, users who choose Barack Obama as the Democratic nominee have to watch him get trounced by John McCain. Instead, let the users themselves post their decision trees, and explain how they got there. That seems a lot more interesting to me than levelling up my skills in clicking on Flash menus. Then again, I’m biased. 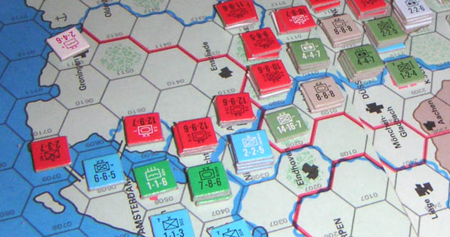 Twenty five years ago, I kept myself busy throwing the Soviets out of Holland. You’d think historical gaming would have improved since. 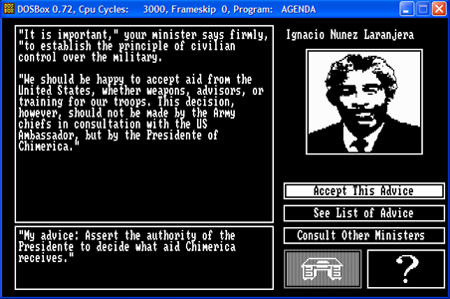 At least GDW had rules that NATO wouldn’t use chemical weapons first, instead of throwing it open to a user poll. Sometimes you can’t make up stuff this good. 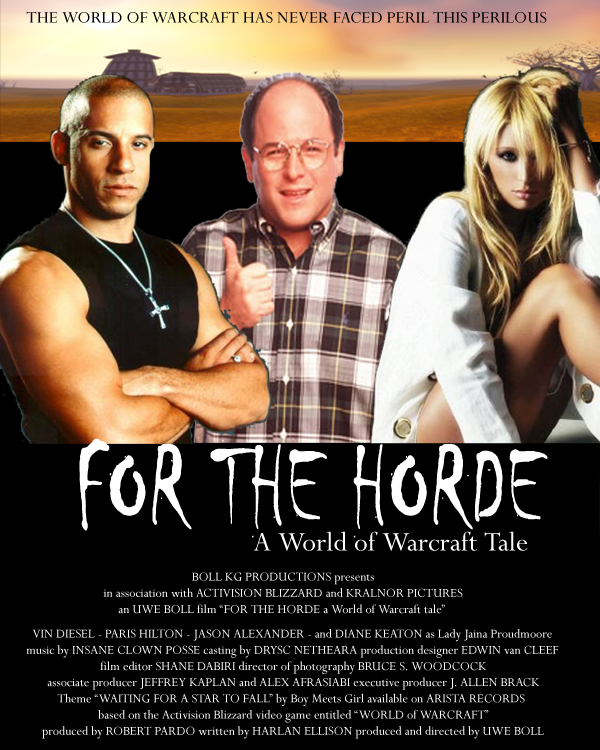 “I got in contact with Paul Sams of Blizzard, and he said, ‘We will not sell the movie rights, not to you…especially not to you,’” Boll revealed. I dunno, I almost can see what he’d come up with, you know. Just got an email that Bob Bledsaw, founder of Judges Guild, passed away this weekend. For those of us far-too-old people in the RPG hobby, the Judges Guild is remembered for two things: some of the first 3rd party D&D modules (which, unlike TSR’s offerings were actually affordable by teenagers) and the frikkin’ huge City State of the Invincible Overlord. And by frikkin’ huge, I mean a wall-sized map of a city that you could throw a dart at, look up where your dart landed in one of several sourcebooks, and find out that you just defaced the home of a 6th level fighter/thief that is the bodyguard to the 45th in line to the Overlordship. ROLL FOR INITIATIVE. It’s been reissued, if for some reason you weren’t playing D&D in the late ’70s, and I can’t think of a better testament. Sadly, I doubt it comes with a wall-sized map of a city straight from Conan’s grog-soaked nightmares, which does kind of miss the point. Hey, Everybody, It’s Time For Reader Mail! I noticed on your website that you have blog posts that relate to the MMO gaming industry. We are in the virtual currency industry where MMO gamers buy and sell virtual items such as weapons and gold for popular online games such as World of Warcraft. We are wondering if you would be interested in posting a blog about the virtual currency industry, which is also known as RMT (Real Money Trading) which includes topics such as gold farming. We would be happy to supply you with any information from within the industry provided that you mention our company so that we can get some publicity. Please let me know if you are interested. We have press releases ready and can provide you with additional information. I am your enemy, not your friend. The source code for the Eve Online client has apparently leaked out to the Internet. Reports are being posted that CCP is seeding most of the torrent themselves, then using the IP addresses of those who download the client’s source code to ban Eve Online accounts. Based on this official comment and this Slashdot comment, it’s decompiled Python source, and not an actual full source code leak. Which would make CCP’s permabanning torrent seeders somewhat… draconian. 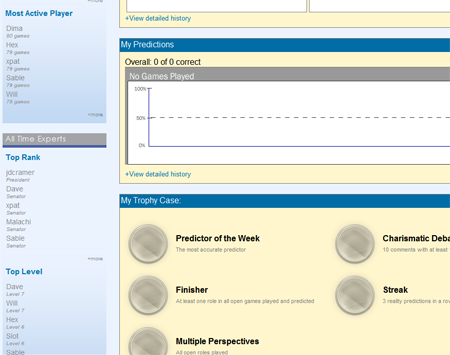 I’d have to wonder how much of the game client, outside of the UI, would actually be coded in Python anyway. So, Sanya IM’d me the other day asking if I could do her a favor. I was groggy and heading out the door to work, so I said “Uh, sure, I’ll ping when I get back” and then never did. Luckily, others were on the case.